High Pressure Water Jetters are useful in a wide range of domestic, commercial, and industrial applications. However, buying your own water blaster can be heavy on the pocket, which is why it makes sense to rent one from WOMA. We specialise in water jetter rental and offer a wide range of machines, which includes our very popular 150M trailer mounted pump unit running at 2500Bar @ 18.7 L/min to our 700Z containerized which runs at 1000bar @ 261 L/min. All of our rental fleet are built with powerful, reliable engines which includes CAT, Detroit, Kohler, and John Deere, with engine speeds ranging from 1,450 to 2,100 RPM. By renting one of our units, you can rely on getting a quality built machine and great customer service to help you facilitate high pressure cleaning needs. We’ll provide you with everything that you need when you choose our water jetter rental packages, which means our machines can get you working right away. 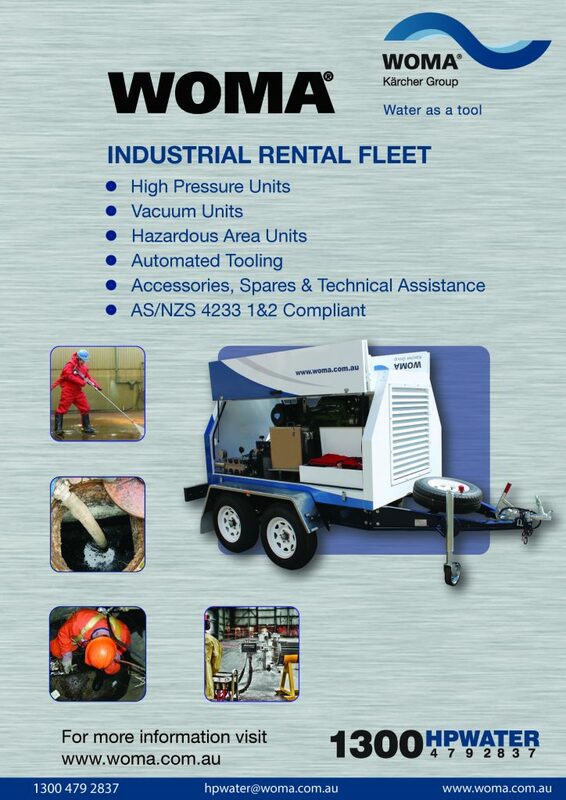 Contact us today to get a quotation for the water jetting or vacuum unit you want to rent. If you’re not yet sure which unit to get, don’t worry since we can help you choose the model that best suits your needs and budget. Simply give us a call and let our friendly and knowledgeable staff guide you through the features and benefits of each model.